Welcome back to Your YouTube. Lisa's off on holiday, so I shall be hosting for the next couple of weeks! I'm not at all jealous, no, really, not at all (ok, perhaps just a bit)! I've had a bump back to reality this week with a full B&B for the past seven days. I forgot that I need to take a day off! I'm heading down to London on Saturday with my son and I'm really looking forward to a couple of nights away. 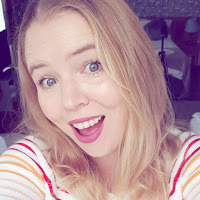 This week I have chosen comes from Aby at You Baby Me Mummy whose video tackles what bloggers should charge for sponsored posts. It's a topic which is great to have some guidance on this topic as it's a complete minefield, especially if you're just starting to get offers of sponsored posts from companies. Don't forget to come and join us on Facebook for the Your YouTube chat. Check out the Facebook group for YourYouTube here for an exact time and place as it does change occasionally. The questions we ask stay on there so you can dip in and out of it and come back to it later if you can't make the chat! Please make sure you link up no more than two videos and please comment on the host video and at least one other. This way we will all find new people to watch and grow our lovely little community. I watch every video that is linked up and look forward to seeing them.